Kids will be on winter break very soon, what are you planing on doing with the kids during your workweek? Why not allow their education to grow while they are having fun at winter break camp with the Discovery Center. 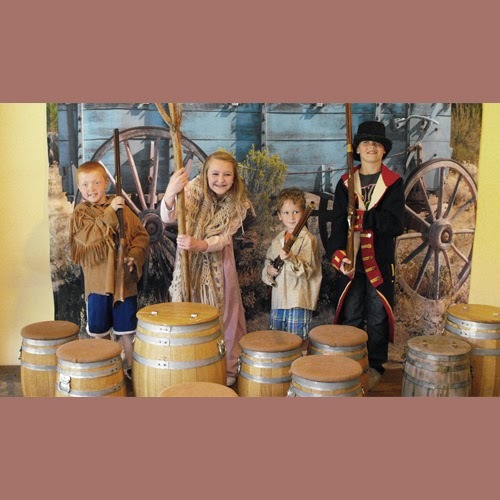 Your children will enjoy spending the day at the Columbia Gorge Discovery Center & Museum, where they will be able to explore, engage and ask questions. The details fort this Winter Break Camp are provided for you below. Now is the time to make plans for the kids during winter break! Columbia Gorge Discovery Center & Museum is hosting “Winter Break Camp: A Day at the Museum,” Monday, December 22, from 9 am to 3 pm. During this hands-on day camp, your favorite 2nd, 3rd, 4th, & 5th graders will walk in the footsteps of Lewis & Clark, get up close to bald eagles, owls, and hawks, and risk it all on the Oregon Trail…and that’s before lunch! Our lively and experienced education team will use interactive games, period demonstrations, arts & crafts, and live birds of prey to “school” your day-campers on 10,000 years of local natural and cultural history, the important role stewardship plays in the future of their own backyard, raptors of the Columbia River Gorge, and much more!